The new look to Vancouver Island’s largest shopping centre includes a revamped, larger food court, an improved guest services location and upgraded bathrooms. The mall was given a cleaner and brighter look, with new flooring and lighting. 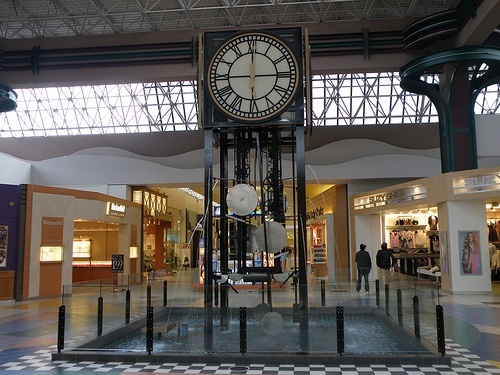 Arguably the most notable aspect of the construction was the removal of the iconic water clock at centre court.